Bremerton High School | CE - Clean Energy. Bright Futures. 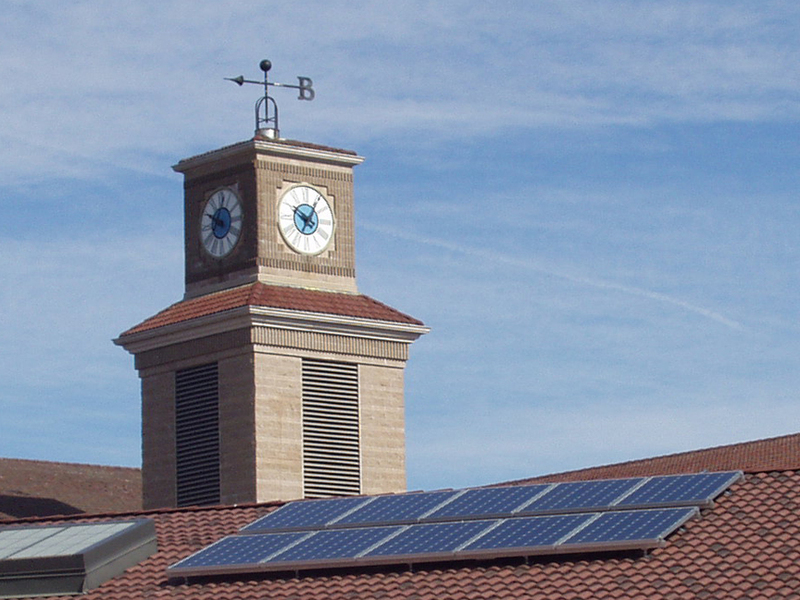 Through a partnership with Puget Sound Energy, Bremerton High School was awarded a photovoltaic (PV) system installed by local contractor, SunWind Concepts. Ten 230-Watt solar modules produce up to 2.20-kilowatts, combined. The system has been producing power since the beginning of September 2011. Bremerton High School furthered its commitment to renewable energy by joining the Solar 4R Schools program. In addition to building a dedicated community of renewable energy educators, the Renewable Classroom PLUS project award from Solar 4R Schools has transformed the school's existing photovoltaic (PV) system into a hands-on classroom tool. Each solar panel has an Enphase micro inverter to monitor daily, weekly, monthly, and annual power production. Educators at Bremerton High School received a customized set of hands-on science kit materials to augment the school's existing curricula, and complete access to the resources available on the Solar4RSchools.org website.